Windward Building Consultants & Inspectors is a Home Inspection, Building Inspection and Building Code Consulting firm specializing in the inspection of existing and newly constructed single-family homes, condominium and commercial properties. The company services all of Sarasota and Manatee counties, and is a recognized leader in property inspections in the area. 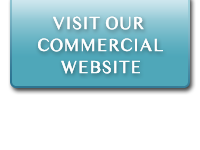 For more information on our commercial inspection and consulting services, please visit our commercial site. Several factors including the age of home, size, number of stories, location, optional equipment and additional services required (lawn irrigation, swimming pool, etc.) are all factored into the equation prior to quoting a firm fee. Typical fees are calculated on a per square foot basis. Many inspectors prices range from 8¢ to 10¢ per ft² which is generally reflected in the time spent on the inspection. In comparison, WBC&I’s minimum per square foot fee starts at 16¢ per ft², in addition to any supplementary services that are needed. New construction inspections are quoted based on the number of phases and the level of service requested. Many clients have found that our fees are, in most cases, equal to or only a slight premium above the other qualified inspectors in the area. Compare the overall credentials of an inspector before you decide. You have a choice: to hire a newer inspector or a highly experienced code-certified inspector.